Mexico is located in one of the world’s most seismically active zones and has one of the highest rates of obesity-related diseases, yet the population is under-protected. AXA’s in-house reporter Noel Eyres went there to understand the situation and find out about the solutions that could protect Mexicans against these risks. I felt a slight pang of trepidation as I sat in the back of the dust-covered, beaten-up old taxi in the outskirts of Union Hidalgo. I was desperately trying to make sense of the cabby’s conversation with a local tuck-tuck driver. We had stopped on a crossroad of this town in the Southern Mexican state of Oaxaca to ask for directions. And despite my four years of Spanish at Uni, I really couldn’t make out a word of the Oaxaceño’s response. This didn’t augur well for my upcoming interview with a local resident whose home was destroyed. As were 80 percent of the buildings in this town. In order to convey on screen the emotional impact of such a disaster, I needed to be able to build a rapport with my interviewee. If I was incapable of understanding the local accent, this would be tough. I had travelled to this hot and very windy state specifically to get information on our partnership with Construyendo. This NGO is a key contributor in this region that was the hardest hit by two earthquakes at the end of 2017. The first earthquake, an 8.1 magnitude monster, had its epicenter just off the coast near this littoral town named after Don Miguel Hidalgo, the famous 19th century leader of the Mexican War of Independence. What buildings weren’t flattened were weakened enough for a second earthquake (6.1 magnitude) to render most of them uninhabitable. So the mission of Construyendo is to help the quake victims rebuild their homes and their lives. This kind of assistance is that much more relevant in a country like Mexico where very few people are insured. This is common for an Emerging Market where there is an under-penetration in insurance, but is amplified by a traditional belief that it is the strength of one’s faith – in particular in the country’s patron Saint, la Virgen de Guadalupe – that will keep harm at bay. 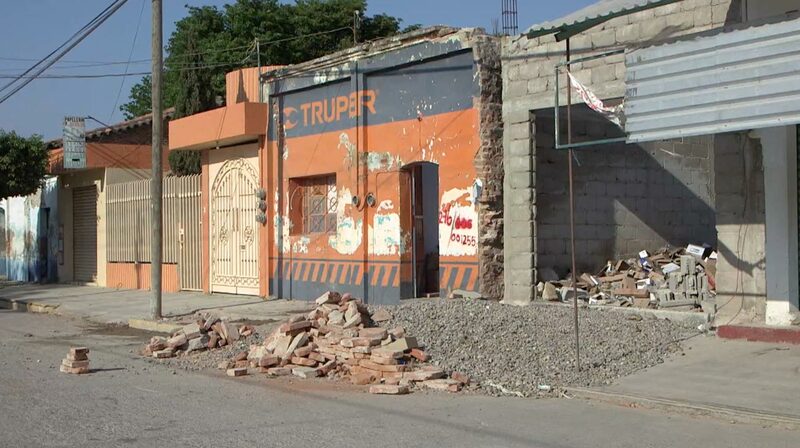 After the first quake, engineers from the Mexican army– the much trusted and de facto first responders in case of large-scale catastrophes – came to appraise the extent of the damages, building by building: which ones were destroyed and which were still standing but deemed structurally unsound. The Mexican government then provided support to all those residents whose homes fell into these categories in the shape of credits, to be spent in designated stores only on food and building necessities. But despite a nationwide mobilization to provide the state with staples raging from building material to vehicles to food, the extent of the damage meant there were inevitably many shortages. As a result, reconstruction is slow, many towns are still in ruins, and many families are still sleeping in emergency tents, frequently ripped apart by the incessant winds. 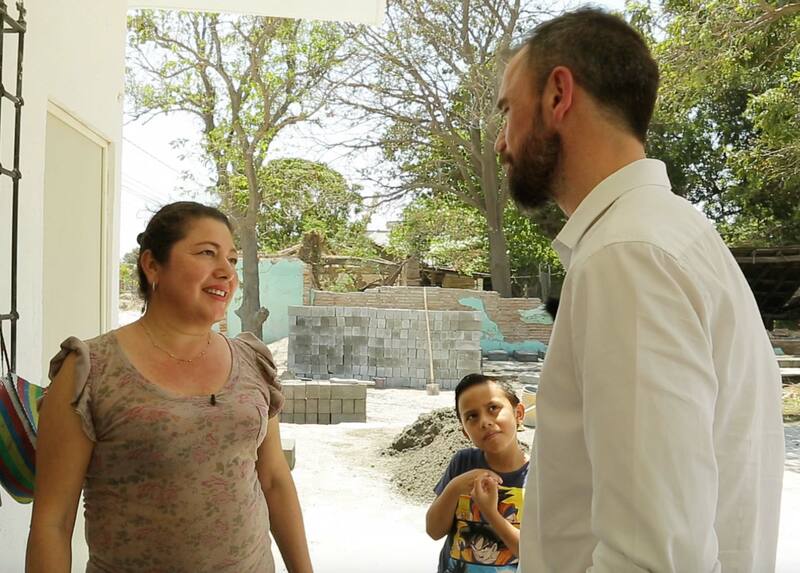 That’s why AXA Seguros in Mexico decided to help, both in reconstruction, through the AXA Foundation working in association with Construyendo, as well as in prevention, by ensuring the local population were able to insure their new homes in the event of another catastrophe. And that was why I was in Oaxaca, sitting in a taxi, worrying about how I could ever interview people I just could not comprehend. 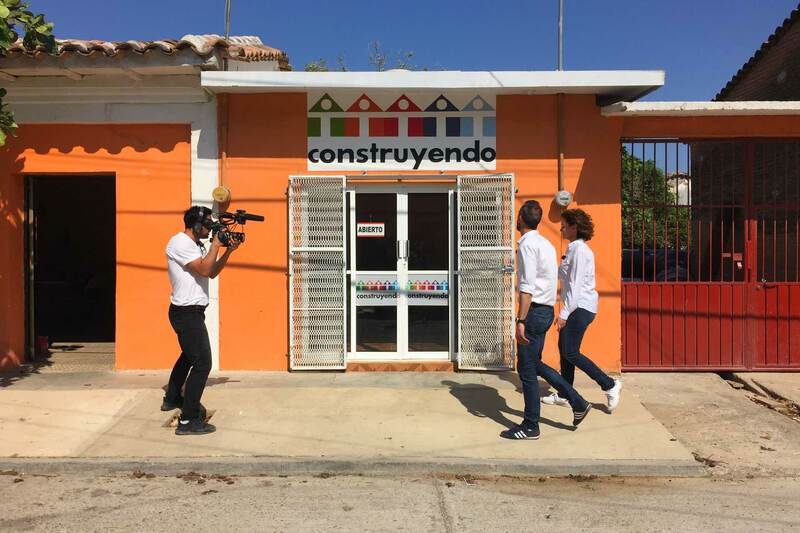 Alfonso Serrano, CEO and founder of Construyendo, AXA’s partner rebuilding Union Hidalgo, explains the objectives of the NGO and how the partnership works. Our driver thanked his impromptu guide and hopped back in, producing a puff of dust from his carpeted seat. “Did you notice?” he asked, in his far more accessible accent. “The man there answered me in Zapotec, the local indigenous language. Most people here speak it among themselves, but they speak Spanish too.” What relief! My grasp of the Mexican-Spanish accents wasn’t that poor after all, my Zapotec was just non-existent. 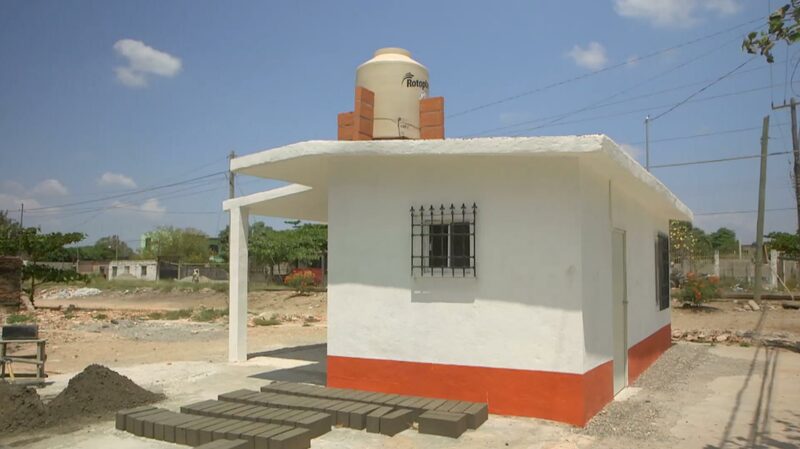 I met Sofia del Carmen, the beneficiary who I was to interview in front of her new home, built with the help of the organization AXA is partnered with, through its foundation: a small white building built on the site of her former home. With her son tagging along – and sometimes dramatically acting out Sofia’s recounting – she explained what happened on the fateful day of the earthquake. “It started off pretty gently, then got stronger and stronger. The walls started shaking and the roof collapsed. We ran out of the house but were bumping off the walls as the earthquake shook us around.” The whole town of 14,000 inhabitants was in shock. They all slept outdoors or in their back yards – not too close to any buildings – that night and for some, for many nights thereafter. It must have been terrifying. With the aftershocks, people remained weary for a while, waiting for help in the wind-whipped temporary homes. Earlier on, in Construyendo’s little local office in the centre of town, I had spoken with Ingrid Cerwinka, Head of Strategy, PR & Corporate Responsibility at AXA Seguros Mexico, and who leads the efforts of the AXA Foundation. She showed me models of the two types of homes the beneficiaries could choose from, made from different materials and with slightly different layouts, but, most importantly, resilient and more resistant to earthquakes and floods (another common natural catastrophe in the region) and therefore, critically, insurable. The counterpart to receiving this help was that the beneficiaries do insure their new abode. Resilience is key. Ingrid emphasized the importance of making the local population participative in the reconstruction of their homes and their lives. In the past, government handouts created a form of dependency that both the NGO and AXA have been trying to counterpart. That is why AXA Mexico designed a very simple CAT Micro insurance product with a three-year coverage for all re-built homes. It simplifies one of its regular home insurance products in its coverage and distribution costs to quickly create a micro insurance policy, eliminating unnecessary coverage (hotel, theft) and selling it directly. Additionally, AXA in Mexico has teamed up with a local savings institution to develop a means for families to pay for the insurance once the three-year period is over. It is the first effort of its kind in Mexico to start penetrating a sector of the population that usually does not have access to insurance. 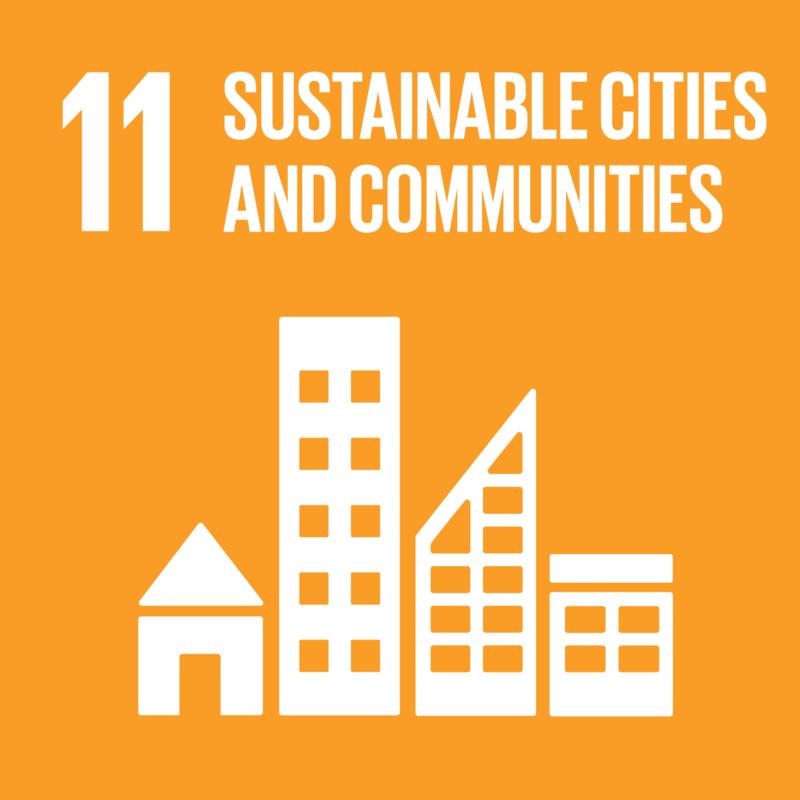 So not only is this micro insurance product sustainable and replicable it also contributes to making a long-lasting difference in the community by improving their living conditions and fostering prosperity by breaking the “disaster-no money-start-over-again” cycle. Although Sofia’s new home is somewhat smaller than her old one, she is visibly grateful to receive this help and to moving in soon, having a real roof over her head and a room for her son. She is also thinking about an extension: a larger kitchen. At the end of a long hot day in Union Hidalgo, Ingrid and I headed back along the main road towards Construyendo’s office, where pick-ups were waiting for us for our return journey. The route was interspersed with piles of rubble and fissured one- or two-story buildings, as well as some newly erected edifices, and Ingrid pointed out the local primary school: still standing but unsafe. Lessons had to be given in tents in the school yard. Despite an awning over the top and fans on stands stoking the air, it was hot and muggy in there. The school is amongst those structures being rebuilt with help from AXA. At least lessons are given, albeit in shifts, to accommodate a large population with few means, as education is key to bringing these people out of their precarious situation. 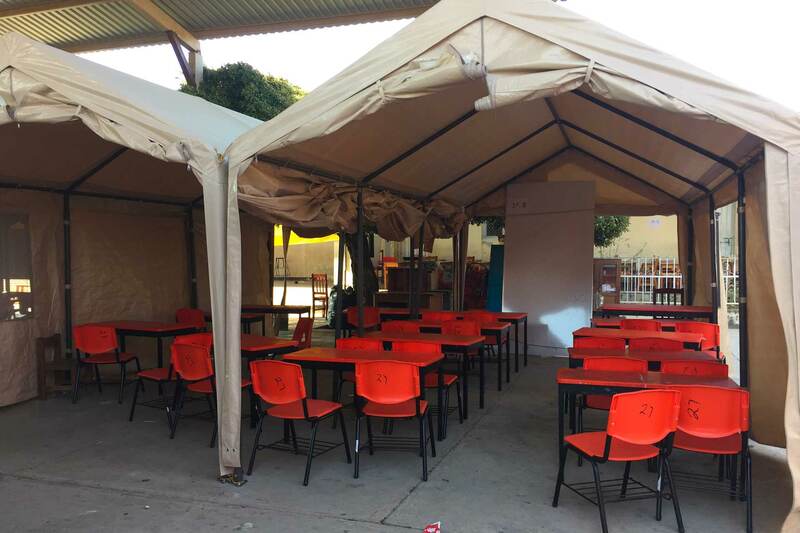 Classes are held in tents in the schoolyard of Union Hidalgo’s school. And one area where education needs to be improved is in health, as obesity-linked diseases kills far more in Mexico than natural disasters. Pablo Marìn manages a car park near the city centre. His revenues dropped after the September earthquake damaged the seven-floor structure and customers looked elsewhere. AXA helped him get his business back on track.